We have a wide range of Midas branded multiport valves, which are available in a range of plumbing sizes & top OR side mounting options. 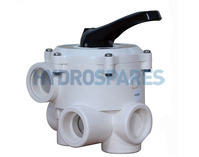 Multiport Valves, there are three major types of pool filtering system: cartridge, sand, and diatomaceous earth. 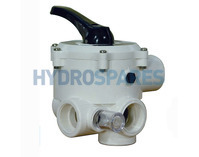 Sand and diatomaceous filters use a multiport valve primarily to help clean or backflush the filter media. Available in 1.5" & 2"